Catherine Butler’s recent blog post about J.K. Rowling’s control over the Harry Potter world and narratives via social media (stemming from her article in The Conversation) got me thinking again about an issue I explored in my book on Tolkien. How do we deal with the author’s authority (forgive the pun!)? And is there (or should there be) such a thing at all? And, I suppose, this is even more valid for ‘celebrity’ authors such as Tolkien and Rowling, who were/are in the public eye. The debate about these two sides is ongoing, by the way: some of the literary critics who have argued for the ‘return of the author’, or at least that the author is still relevant, include Sean Burke and Roberta Ricci. Catherine Butler had also been working on these questions, and she kindly shared some of her latest thoughts and ideas during an excellent guest talk for the internal research seminar series at Cardiff Met last year. Another slightly different by related question I tried to deal with in the introduction to my book is the tensions between ‘authorial interventions’ that contradict each other: e.g. Tolkien’s claim that he disliked fairies as opposed to the proliferation of fairies in his early works (see my article here); or Tolkien’s vehement rejection of a ‘Celtic’ influences in the draft ‘Silmarillion’, as opposed to the actual evidence in the text itself (see my articles here and here), etc. I actually found particularly useful the idea of a ‘biographical legend’, coined and explored by Russian formalist critic Boris Tomaševskij, according to which authors create a romanticized, distorted, image of their biography as a reference point for literary criticism ultimately controlled by the author. 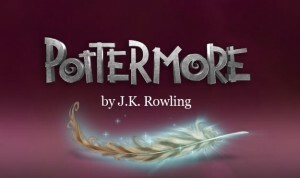 J.K. Rowling’s famous story of the idea for the Harry Potter books falling “fully formed” into her head is a good example of this sort of narrative, reiterated in interviews and biographies (e.g. here). Did the idea really come “fully formed”? Can we really remember accurately that particular moment in time when something pivotal, something that changed our lives, happened, or do we reconstruct this moment from its aftermath? Do we really remember the exact moment we fell in love, came up with that brilliant idea, made a particular choice that affected everything? I am not trying to claim that authors attempt purposefully to deceive – all I am saying is that memory is a tricky thing, an unreliable tool, and that publicity can be very stressful and demanding, while – at the same time – fans hunger for ‘mythical’, romanticised information on authors. The creation of a ‘biographical legend’ is often the result of these forces. 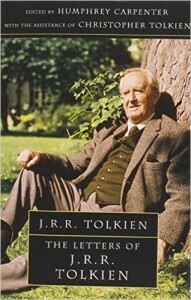 (Verlyn Flieger has also brilliantly discussed recently how Tolkien’s statements in his letters should be read within the context of his agenda each time, and depending on each particular addressee). Why such a marked difference, I wonder? Is it a personality thing, or is there something else going on? I am, of course, still pondering all of this, hence this blog post, rather than a journal article or essay. But I can’t help but think that the sort of fantasy that Catherine Fisher writes, and the sort of secondary worlds she creates, are fundamentally different from Tolkien’s and Rowling’s. Catherine Fisher’s fantasy is often low/intrusion fantasy, set in our world but permeated by the supernatural. There are portals to otherworlds and some of her books, notably Incarceron and Sapphique, do create another, alternative world (or worlds) but not with the ‘encyclopedic’ detail that Tolkien or Rowling have created theirs. 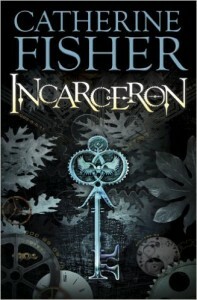 Instead of sustained building, brick by brick and in painstaking detail, one secondary world, Fisher has given us multiple exciting secondary worlds, as well as fascinating magical intrusions in the primary one. 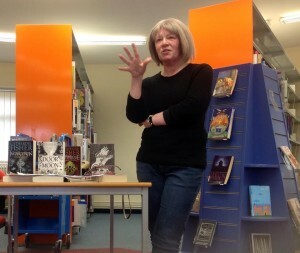 The same goes for fantasists such as Alan Garner, whom – tellingly – Catherine quoted in her talk. There’s something obsessive about the way Tolkien and Rowling go about their world-building, while Fisher’s and Garner’s worlds are free-er, more hazy round the edges, leaving room for a different type of engagement by the reader. That’s exactly the kind of detail that Rowling has often explained she had created long before the entire Harry Potter series was completed, and which she now offers, one bit at a time, in Pottermore (in lieu of a Harry Potter Encyclopedia). Tolkien’s world-building trivia filled boxes and boxes of manuscripts, many of which were graciously shared with fans and scholars in the History of Middle-earth series, edited posthumously by his son, Christopher Tolkien. So is it possible that the question about authorial control in fantasy literature in particular is a matter of the ‘mode’ or sub-genre of fantasy each author uses? I wonder what you think. ‘An Interview with Tolkien’, interview by Resnick, Henry, Niekas, 18 (1967), 37–43. Burke, Seán (1992) The Death and Return of the Author: Criticism and Subjectivity in Barthes, Foucault and Derrida. Edinburgh: Edinburgh University Press. Eco, Umberto (1985) Reflections on The Name of the Rose. London: Secker & Warburg. Flieger, Verlyn (2014) ‘But What Did He Really Mean?’, Tolkien Studies, 11, pp. 149-66. Purves, A. (1993) ‘Issues and Concerns in Multiculturalism and the Literature Curriculum’, in Miller, S.M. and McCaskill, B. (eds), Multicultural Literature and Literacies: Making Space for Difference. Albany, NY: State University of New York Press, pp. 105–27. Ricci, Roberta (2003) ‘Morphologies and Functions of Self-criticism in Modern Times: Has the Author Come Back?’, MLN, 118: 1, pp. 116–46. Tomaševskij, Boris (1995) ‘Literature and Biography’, in Burke, Seán (ed. ), Authorship: From Plato to the Postmodern: A Reader. Edinburgh: Edinburgh University Press, pp. 81–89. Wimsatt Jr., W.K. and Beardsley, M.C. (1946) ‘The Intentional Fallacy’, The Sewanee Review, 54, pp. 468–88. Wolf, Mark J.P. (2012) Building Imaginary Worlds: The Theory and History of Subcreation. New York: Routledge. Very interesting article, Dimitra! This subject occasionally pops up in my thought, for even limited to Tolkien alone there is more than enough to say about this for a long article or even a short book). Personally I think the term ‘realism’ with regard to Middle-earth is a bit misleading. IMO It is not the historical depth or even the sheer number of details that validate a claim to realism. In those respects Tolkien succeeds well enough. However, the key phrase here seems to be the Eco quote: “To tell a story you must first of all construct a world, furnished as much as possible, down to the slightest details…”, and inside the quote the phrase “furnished as much as possible”. With regard to this, I think we should admit that Tolkien’s work remains, in a way, ‘deficient’. Fairly recently (I don’t exactly remember when, but I think it was earlier this year), George R.R.R. Martin of Game of Thrones fame criticised him for not paying any attention to Aragorn’s tax policy. A comment that struck many Tolkien fans as nonsensical. My feeling is that they would have been wrong to reject it, if Tolkien were measured along Eco’s rod. There are aspects of society to which he pays little or no attention – the economy for instance. Lots of details for everyday life are lacking: general information about food, clothing, furniture, infrastructure, etc. etc. remains very scant. Tolkien is very good at conveying an impression with the help of only a couple of details. This is a strong point in his writing, but it also means we are left with a lot of blank spaces. Now criticism like Martin’s is generally be beside the point, because Tolkien did not write this way. Take his description of the War of Wrath, which brings about the destruction of Beleriand. This is not depicted as a series of natural catastrophes, but as a mythical struggle between the forces of good and evil. This moves the story out of the realm of realism into that of myth and fantasy. And when he does write history along less mythical lines, he does so in an old-fashioned way: most of it is about chiefs, and rulers, and royal houses, and about people in exceptional situations. His world is moved by seen and unseen actors, not by forces, and his historiography remains storytelling. Finally, ruminating about Tolkien’s world-building, I always end up thinking of the way he wanted to bring his secondary world in accordance whith our known astronomical and physical laws, and failed to do so because it would have entailed ripping upp the fabric of his original mythology. To me, that shows how dangerous a desire for full realism can be to a mythmaker and his myths. Thanks for your comments – I am pleased you found this post intriguing! I think you are spot on in your analysis, especially the very different ways Tolkien and Martin treat world-building as a process and literary technique. I was being a little provocative using the term “realism” and especially comparing Tolkien with Eco as if they are writing within diametrically opposed genres. Because if we open the genre question, then what it The Name of the Rose? A whodunnit? A historical novel? A postmodern comment on semiotics? I actually have a forthcoming essay on Thomas Chatterton, Tolkien and Eco, which explores their respective medievalisms and their use of manuscripts (real or feigned/forged) in which I am arguing that the genre question may not be as relevant as their sense of world-building via “dreaming the Middle-ages”. Also, a lot of my thinking has been influenced by Mark Wolf’s Building Imaginary Worlds (fully referenced above) in which he is talking about secondary worlds not as a separate genre but as part of all genres which exhibit different “degrees of secondariness”. After all, realism is still not *real* – it’s fiction, and only creates the illusion of reality and still needs to “construct a world”.